A filly by Cox Plate (Gr. 1, 2040m) winning three-year-old Savabeel (Zabeel), a four-time Champion sire, that proved himself to be one of the most versatile stallions in Australasia. 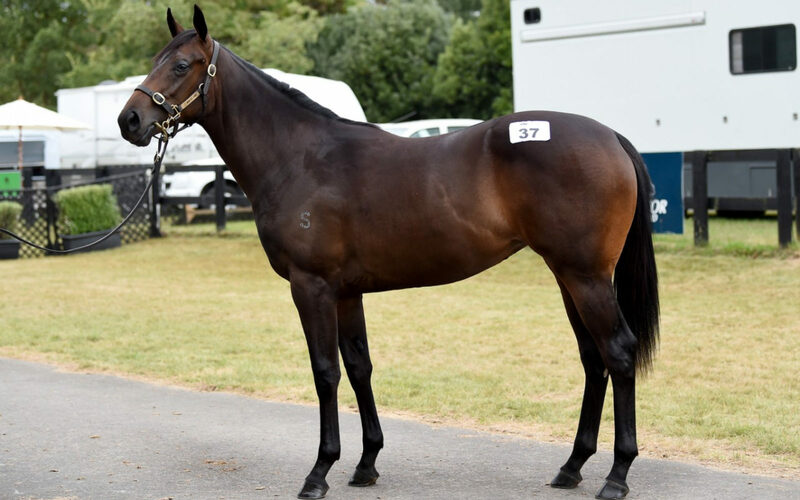 “She is a beautiful filly and the first foal from a stakes winning mare that won four races (1200m – 1600m),” said Te Akau principal David Ellis. “She walks very well and looks like she might come a little bit sooner. We’re continuing to have great success with the progeny of Savabeel and thought she was very good buying when considering the cost of the service fee ($100,000). 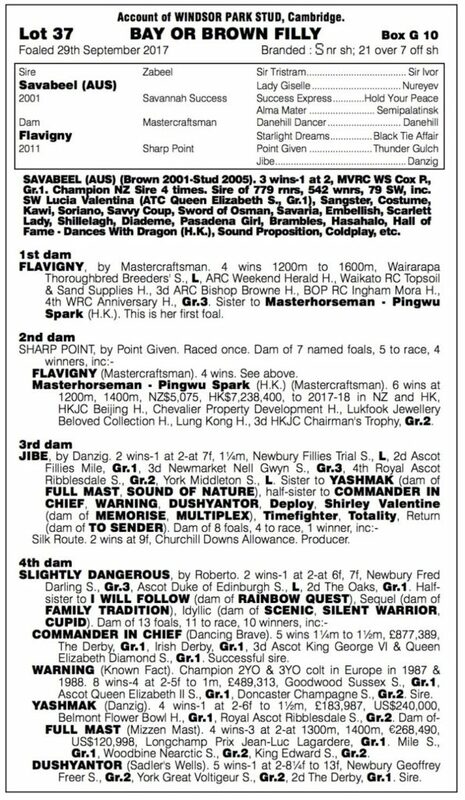 Te Akau has trained Savabeel colts Embellish and Hall of Fame to win Group One miles, Group One winning two-year-old Sword of Osman, Group Two winner Gold Fever, Group Three winners Splurge and Royal Success, listed winner Grazia, and most recently Karaka Million winner Probabeel.